The weather has been amazing lately and we've been spending a lot of time outside. The boys love playing in the front yard and I can sit under the covered front porch with Lucia. It's been great! Our favorite on the go snacks while spending time outside are Slammers Snacks. Not only are they super convenient and almost mess free - Dylan is still working on not squeezing the pouches too hard - Slammers are tasty, Greek yogurt snacks designed to fuel kids with organic fruits and vegetables. They are a healthy alternative to candy, and can be enjoyed frozen, cold, or at room temperature - the boys loved them cold. 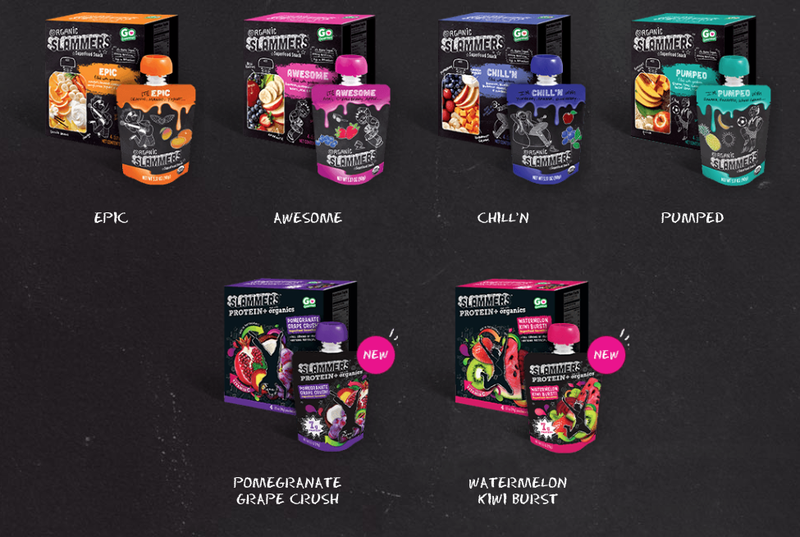 Available in a variety of fun flavors, each pouch combines fruits such as mangos, acai, yumberries, kiwis, and pomegranates, and serves as a great source of essential vitamins. Two flavors also come packed with seven grams of protein! It's hard to find snacks that my kids love and fuel their bodies. The ingredients in Slammers come from certified organic farms, have no added sugar or artificial flavors. The boys are obsessed with them and I'm thrilled to have found such great all year round snack!